Saved from a dysfunctional family situation at a young age, Jake Wooten was taken in by his aunt and uncle, who had to completely change the way he saw and interacted with the world. 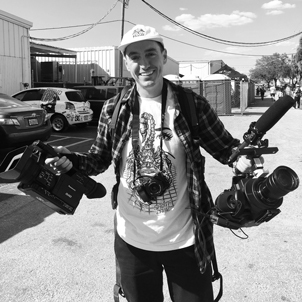 My name is Joe Perrin and I’m the Video Production Manager for NHS, Inc., a skateboard company that is home to Santa Cruz Skateboards, Independent Trucks and many more skateboard brands. I dabbled with skateboarding here and there from ages 8-10, but around the age of 13 it really took hold and I became fully obsessed with it. I soon became friends with a group of local skateboarders, one of which would borrow his mom’s 8mm camcorder. We’d skate together every day after school and all weekend, taking turns filming each other with the camera. I was fortunate enough to get my own 8mm camera for Christmas, and I then saved up some money and bought a wide angle lens to mimic the skate videos that I watched religiously whenever I wasn’t out skating. During the summer leading up to 9th grade, I had begun teaching myself how to edit the skate footage I’d been shooting using 2 VCRs connected to each other. I had the fortune of taking Video Production class that year, and when my teacher Mr. Zimmerman whom we referred to as Mr. Z saw the skate video I had been working on, he was blown away and allowed me to focus solely on this work. Computer non-linear editing systems had just started to come out, and Mr. Z was able to get one for our class. I spent countless hours in the editing bay there, honing my skills, and I made a new skate video each of the 4 years that I was in high school. By the time I had graduated, I had become friends with some sponsored and professional skateboarders, and I just kept on filming, editing, and continually learning, eventually making some skate videos that received notoriety in the skateboard industry. Tell us about your film – how did it come about? We have an amazingly talented group of skateboarders that ride for Santa Cruz Skateboards, and a lot of them have magnetic personalities and dynamic stories that you might not get to see from just their skateboarding alone. When the Brand Manager Andrew Cannon and I talked about some of the video projects we wanted to work on with the team, we decided we wanted to tell some of these stories and showcase who these riders are as people. Jake Wooten’s story is remarkable, so we knew we had to start with that one- he has an electric personality and an amazingly positive disposition on life, which becomes all the more incredible when you hear the story of what he’s gone through. Skateboarding is an amazing outlet. 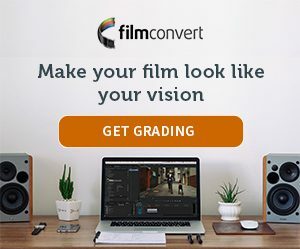 How did you find out about FilmConvert? A few years ago I took an editing seminar led by SNL editor Adam Epstein. He covered an insane amount of info over the course of the day, and one of the many things that stuck with me was that I had to give FilmConvert a try. I did, and I’m extremely grateful for it. Why did you decide to use FilmConvert for this particular project? I knew I wanted to add a touch of grain and film look to this piece, and FilmConvert is my go-to tool for achieving that. Seriously, it’s the only plug-in I ever use for film looks. What was the particular look or style you were going for with your video? This is a documentary-style piece with a moving story, so I didn’t want to take away or distract from that at all by overdoing the coloring. Overall, I wanted the piece to have a warm look with a little bit of saturation. Tell us about your workflow. What settings, film stock, camera profiles and tweaks did you use in FilmConvert? I shot this project with a Sony FS700 and a Sony a6300 as my 2nd angle and on-the-fly camera. We had just over 2 days total to get everything shot so I had to be as efficient as possible. It was just Andrew and I, so I was generally setting up and running both cameras and grabbing shots as needed, and he was the primary interviewer. I used the KD 5207 Vis3 film stock, and just used the default source camera setting in FilmConvert which I find works really well with the picture profile that I have set up in my camera. What other effects or tweaking did you use?